Taking Jane to Thai food for the first time — just the two of us. We had fresh rolls with peanut sauce and pad thai with chicken. All eaten with gusto. Reading: I finished All Our Names by Dinaw Mengertu (solid if slightly forgettable novel) on the first day we were in Portland. 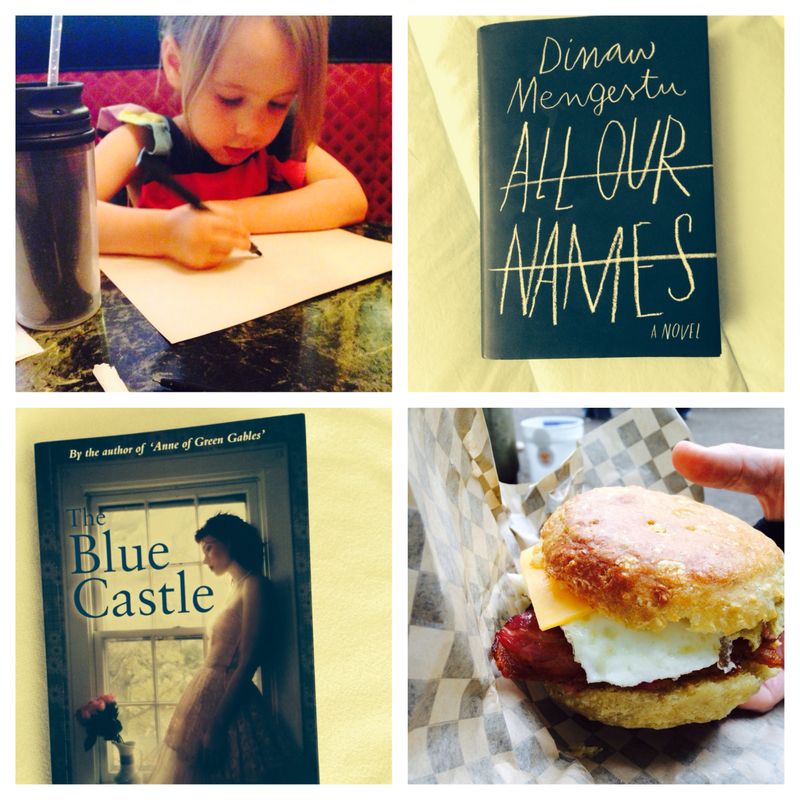 On Saturday, I read The Blue Castle by L.M. Montgomery. I absolutely loved this romantic, perfect for a vacation novel. It’s warm and comforting and Valancy Stirling is a memorable heroine. It’s kind of hard to find so let me know if you want to borrow.